UPDATE: On 18 October 2017, the Government tabled in Parliament draft legislation to introduce an 80 per cent passive income eligibility test for the lower corporate tax rate from 2017–18. The Treasury Laws Amendment (Enterprise Tax Plan Base Rate Entities) Bill 2017 differs significantly from the exposure draft discussed in the article below. Read our current article ‘Proposed changes to eligibility for company tax cut’ for an explanation of the Bill, including how it will impact corporate beneficiaries. The Treasury has just released exposure draft legislation to clarify that a company will not qualify for the lower corporate tax rate of 27.5 per cent from 1 July 2016 if 80 per cent or more of its assessable income is income of a passive nature. For more than two months, the tax community has been awaiting Government guidance on eligibility for the tax cut … elucidation finally arrived on 18 September 2017 but the attempt at clarification has further muddied the legislative waters. The proposed amendments, should they be enacted in their current form, will have two significant effects: (1) preventing ‘passive investment companies’ from accessing the tax cuts; and (2) bringing forward the commencement of the ‘base rate entity’ concept by 12 months to 1 July 2016. The corporate tax cuts and new method of calculating maximum franking credits when making a distribution became law on 19 May 2017 but took effect from 1 July 2016. The following discussion briefly summarises the enacted rules. Refer to our previous article The new franking conundrum for more detail. The enacted legislation — in the form of the Treasury Laws Amendment (Enterprise Tax Plan) Act 2017 — implements a series of corporate tax cuts from the 2016–17 to the 2026–27 income years. 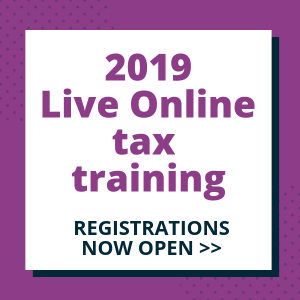 In the first stage of the plan, companies that carry on a business and have an aggregated turnover of less than $10 million for 2016–17 are entitled to the concessional tax rate of 27.5 per cent. By 2026–27, all companies that carry on a business and have an aggregated turnover of less than $50 million will be taxed at 25 per cent — permanently. either its previous year or current year turnover is less than $10 million. its aggregated turnover for the current income year is less than $25 million ($50 million from 2018–19). The BRE definition tests only the current year’s aggregated turnover; the previous year’s turnover is not relevant. This contrasts with the SBE definition which allows an examination of either the current year’s or previous year’s turnover in determining whether the turnover test is satisfied. From 1 July 2016, the maximum franking credit is calculated by reference to a new concept — the company’s corporate tax rate for imputation purposes (CTRFIP). This differs from the company’s corporate tax rate which is the rate of tax payable on the company’s taxable income; the corporate tax rate is determined by whether the company is an SBE or a BRE. The CTRFIP calculates the maximum franking credit that the company can attach to a franked distribution that it makes to its shareholders. Broadly, a company’s CTRFIP is its corporate tax rate, using its previous year’s turnover as a proxy for the current year’s turnover. This addresses the dilemma where a company wants to make a franked distribution during an income year but is unable to determine its turnover — and therefore its corporate tax rate — until after the end of that income year. The legislation introducing the tax cuts and changes to franking credit calculations were enacted a mere six weeks before year end for 2016–17. 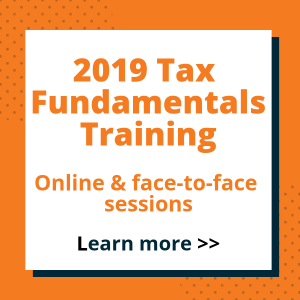 The rushed timing and the inherent complexity of the legislation resulted in many questions from tax professionals seeking certainty on how to apply the new rules to their corporate clients’ 2017 tax calculations and profit distributions. What is ‘carrying on a business’? To be an SBE or a BRE, and so qualify for the concessional tax rates, a company must be carrying on a business for the relevant income year. That term is not defined in the tax law. While the requirement for an SBE to be carrying on a business is not new — the SBE definition has applied for small business concession purposes since 2007–08 — the need for clarity and guidance on specific circumstances has never been more important. Specifically, the tax community has questioned whether the 27.5 per cent concessional tax rate applies to holding companies, corporate beneficiaries and other ‘passive’ investment companies; in other words, whether any or all of these types of companies can be said to be ‘carrying on a business’. 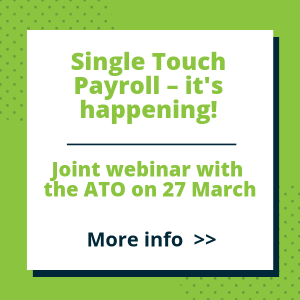 Recently, both the Government and the ATO have made preliminary — and somewhat conflicting — comments in relation to this issue. On the same day that the ATO published Reducing the corporate tax rate — i.e. 4 July 2017 — the media reported that, based on the ATO’s statements in TR 2017/D2 and QC 48880, it can be concluded that a passive investment company can access the concessional tax rate of 27.5 per cent. This elicited an adamant response by the Minister for Revenue and Financial Services, Kelly O’Dwyer, who issued a media release on 4 July 2017 stating the Government’s position — that is, that the tax cut ‘was not meant to apply to passive investment companies’. There was media speculation in August that the Government would introduce clarifying legislation to ensure that passive investment companies could not access the tax cuts. On 18 September 2017, the Treasury released exposure draft legislation (the ED) and accompanying draft explanatory material to clarify that a company will not qualify for the lower corporate tax rate if most of its income is of a passive nature. It was expected that the proposed amendments would define, limit or clarify the term ‘carrying on a business’. Disappointingly, the proposed amendments do not address this key condition of qualifying for the lower tax rate. Rather, they propose to introduce a third, additional passive income threshold test to restrict eligibility for the tax cuts. less than 80 per cent of its assessable income is base rate entity passive income (BREPI) [new proposed condition]. partnership and trust distributions to the extent that they are attributable to an amount that is passive income (i.e. BREPI in the hands of the partnership or trust under any of the preceding paragraphs). The proposed BREPI test requires a comparison of the company’s total BREPI for the income year to its assessable income for the income year. In contrast, the existing turnover test uses the company’s aggregated turnover. The proposed BREPI test is one of the three mandatory eligibility requirements for the concessional tax rates. The company’s entire taxable income will be taxed at one rate, whether that be 27.5 per cent or 30 per cent. A company will never have its BREPI taxed at 30 per cent and its business income taxed at 27.5 per cent. All rental income is taken to be BREPI. There is no carve-out for companies that derive rental income in the course of carrying on a business of renting properties. This is similar to the active asset test in s. 152-40(4)(e) which prevents assets whose main use is to derive rent from being an active asset. Non-portfolio dividends are specifically excluded from being BREPI. A distribution is a non-portfolio dividend where the corporate shareholder holds at least 10 per cent of the voting power in the company. Therefore distributions that holding companies receive from their subsidiaries are not BREPI. At first glance, this may appear as though holding companies can access the 27.5 per cent tax rate provided its aggregated turnover is less than the turnover threshold. But is this the outcome of the proposed amendments? Remember that the BREPI test is proposed to be a third condition to qualify for the tax cuts; the first condition — i.e. whether the company is carrying on a business — still needs to be satisfied. The two scenarios below assume that the company satisfies the aggregated turnover test. Holding company that also engages in business activities A company that derives business income as well as holding at least 10 per cent of the shares in a subsidiary will pay tax on its income — including distributions from its subsidiary — at 27.5 per cent. This is because it is carrying on a business as evidenced by its trading activities. Holding company that only holds shares in its subsidiaries The issue is whether the company is carrying on a business in relation to its passive investments. This fundamental question has not been addressed by the proposed changes. If the ATO guidance is taken to mean that the company is carrying on a business of investment, it can access the 27.5 per cent rate as non-portfolio dividends received from a subsidiary are not BREPI. If the company is not carrying on a business, it is taxed at 30 per cent regardless of whether it satisfies the other two conditions. non-BREPI component (i.e. that part of the distribution attributable to the trust’s trading or business income). However, where the corporate beneficiary is not carrying on a business, it will be taxed at 30 per cent as it does not satisfy the first eligibility condition. As with holding companies, it is ultimately a question of fact as to whether a corporate beneficiary is carrying on a business. It is desirable that the Government or the ATO provide further clarification on the tax rate applicable to corporate beneficiaries. The ED also proposes to amend the CTRFIP rules so that it is also assumed that the passive income proportion for the current year is equal to that of the previous year in determining the maximum franking rate. If the previous year’s BREPI was at least 80 per cent of the company’s previous year’s assessable income, the company’s maximum franking rate for the current year is 30 per cent — regardless of its aggregated turnover or whether it is carrying on a business. The corporate tax rate for the previous year would also have been 30 per cent. The ED also contains an unwelcome surprise — if the legislation is enacted as drafted, the BRE concept would commence on 1 July 2016 which is 12 months earlier than the currently legislated 1 July 2017. Practically, companies would need to determine their eligibility for the 27.5 per cent rate in 2016–17 based on the BRE test rather than the SBE test. Recall that the BRE concept uses only current year turnover whereas the SBE concept uses either current year or previous year turnover. the payment of 2.5 per cent additional tax. The proposed amendments will not be introduced into Parliament at the earliest until its next sitting on 16–19 October 2017. Then the Parliamentary process begins … it may not clear Parliament for many weeks, or even months, beyond that … it may be amended by Parliament or it may not be passed at all. Companies with aggregated turnovers of at least $10 million in 2016–17 which are relying on their 2015–16 turnovers below $10 million to access the 27.5 per cent rate. They are now unsure whether they will now be taxed at 30 per cent based solely on their 2016–17 turnover. Many affected companies will have already lodged returns and prepared accounts on the basis of the 27.5 per cent tax rate, or are in the process of finalising such. The changes may result in a tax shortfall and it may be necessary to revise cash flow budgets to account for a 30 per cent tax rate. Companies that derive substantial amounts of BREPI. A company may be carrying on a business but fails the BREPI test due to low levels of business turnover relative to passive income in 2016–17; perhaps due to a large capital gain arising from the sale of business property, poor business decisions or a natural disaster. These companies which are eligible for the 27.5 per cent rate under current law may be ineligible under the proposed law. So what happens with lodgment of 2017 tax returns? Should you hold off lodging your company returns? If you lodge now based on the existing law, what happens if the law is amended? Do you have to amend your tax return? Would penalties apply? 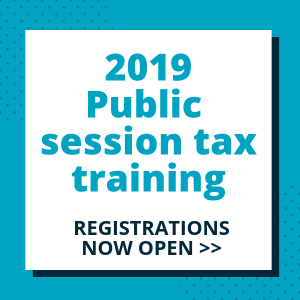 if an amendment is necessary, the interest and penalty consequences will be as outlined at 1. above, depending on whether you self-assessed by anticipating the announced change or not. It is indeed a strange predicament companies find themselves in where a question as fundamental as ‘What rate of tax does my company pay?’ cannot currently be answered with certainty. TaxBanter will be making a submission to The Treasury on, and will monitor the progress of, the proposed amendments. We keenly await the resolution of these issues and will advise of any developments in a future post.